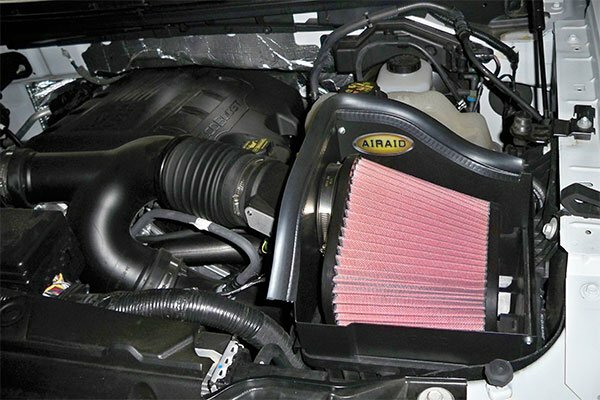 Airaid 521-284 - Airaid Intake System - FREE SHIPPING! What a difference! Adds a deep angry growl during hard acceleration but is quiet as stock when your foot isn't in it. Looks good and was very simple to install using basic hand tools. Feels like there is a power gain but it could just be my enthusiasm. There is definitely a slight highway mpg increase which I also appreciate. Very happy with it. Install was easy, took under 30 Minutes. AutoAnything matched and lowered a price on another site. It was delivered the next day. So I got my intake shipped to my house, took the old intake out of my truck. Started putting the new intake on and noticed that the kit was missing the hump hose. Auto anything helped me in this but Airaid failed to contact auto anything or myself until 5 days later. So my truck was without a vital part for several days. This is the first Airaid product I've purchased and it'll probably be my last. I believe I will stick with K&N on my next vehicle. 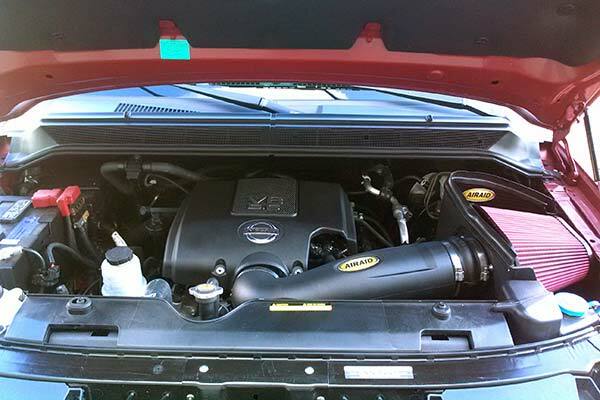 The unit was fairly easy to install and I have only run one tank of gas through the truck since installation so I do not have any results for mpg. So far it appears to be doing what it is supposed to. I was skeptical at first but after installing the cold air intake I reall love how it sounds and the performance enhancements.. I would recommend this product to all of my friends..
Quality of the kit is superb. Yes, it fits the 2014 Titan just fine. The stock air box rubber grommets and hardware are difficult to remove and get seated back in properly, so watch out for that. City fuel mileage went from 13.89 to 16.18, no changes in driving habits. 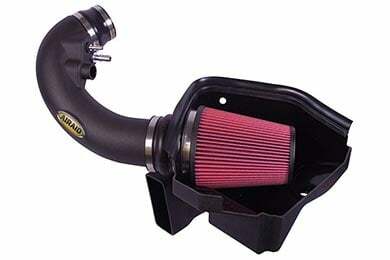 This intake flows ALOT more air. It does take time for the truck to adjust to it. My Titan has it fairly figured out after 2 weeks and 300 miles. Minimal resonance. Great upgrade! Good product. The engine responds a lot better than Fujita system I had. Haven't had it long enough to see any mileage change but the extra power I response is their. I had difficulty in removing the factory box that surrounded the filter but everything else was simple. Simple install, looks great, nice tone when you get into the throttle hard. I just received the intake a couple days ago and took a few pics comparing the Airaid tube and filter to my OEM tube and filter. There's a huge difference in size.. Overall build quality of the Airaid MXP system is excellent!! Already installed it and.....WOW easy to install with video found on the web and sounds and performs great. After a couple tanks of gas, I am getting about two miles per gallon better fuel economy. 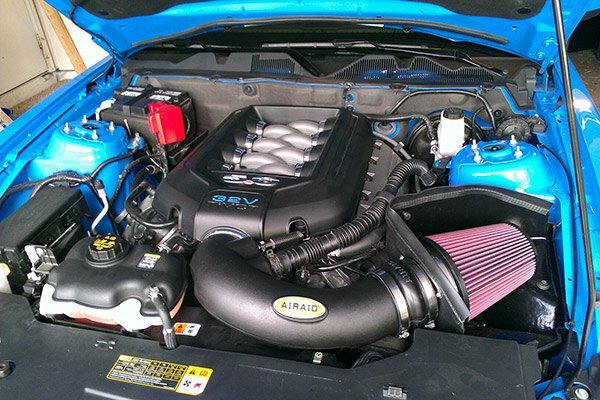 The intake has a mild growl at WOT with noticeable increased response. 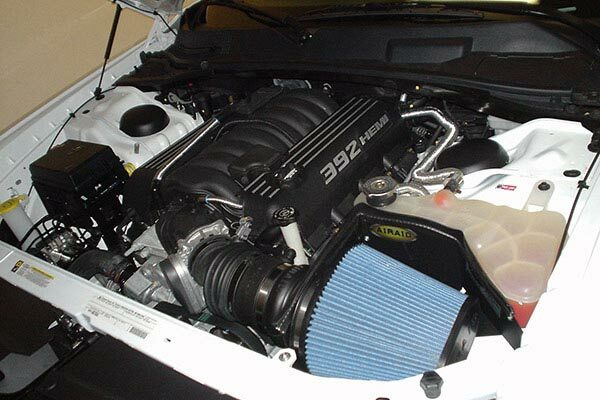 All of the parts nested nicely under the hood even with a throttle body spacer installed. Installation was very simple. This is an easy and inexpensive way to boost performance & increase fuel economy. Nice design, definite power improvement! This has improved engine response to throttle for sure! It is easy to see from this install that the manufacturer was using the OEM intake to restrict the power output. Power curve seems very linear now. The truck just digs in and goes! Very satisfied. Took 2 hours to install, wasn't an exact fit. The instructions had an outdated diagram of a 2004 model. Made the truck have about 10 more Hp, and made the engine louder, but gets worse gas mileage. 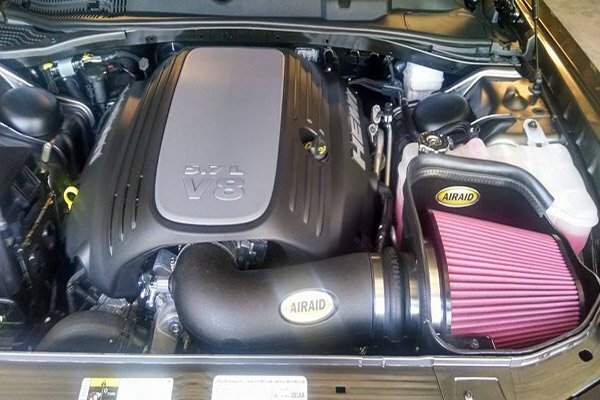 I called airaid and they said it takes month's for your cars computer to adjust to get better gas mileage, which doesn't sound correct. Tried to return it but AutoAnything said they can't take it back since I installed it, but I called airraid directly and they said I have 30 days to return it. Love my new Airaid CAI. Relatively easy to install. Love the looks and sounds of it. Definitely recommended. Good instal and sounds great! Previous intake was an Injen Powerflow. 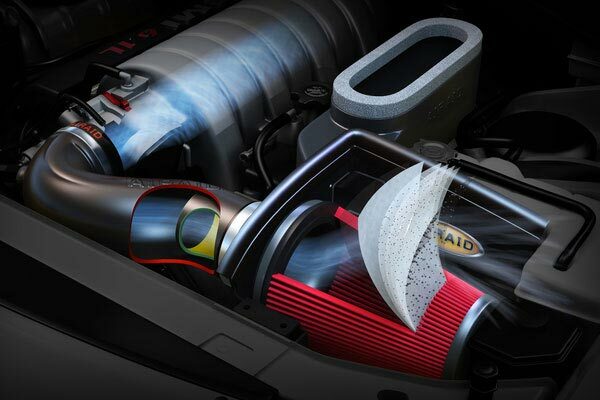 Airaid is a true CAI even though there is still some air leakage from the engine bay from the poor seal at the hood. The smooth interior of the air box is a nice touch but I wish they carried that through the tube as well. Performance is definitely better with less throttle needed to bring the truck up to speed. The engine just seems to breath better. Sound is less aggressive than the Injen but not in a bad way, it is a fairly quiet CAI. I love how this helps my truck breath so much better. Quality it great I can't argue. The only problem I had installing was getting to a bolt on the OEM intake on its removal. Installing Airaid was fairly easy, except the part where you have feel for the opening to bolt on the box. Other than that, this system is great in my eyes. I just want to say this was a b-day present for my 2012 Titan PRO-4X. I was looking at other CAI's and comparing before I committed to. I am glad I chose Airaid. The only problem I had was aligning the airbox back. I recommend this product for anyone!! 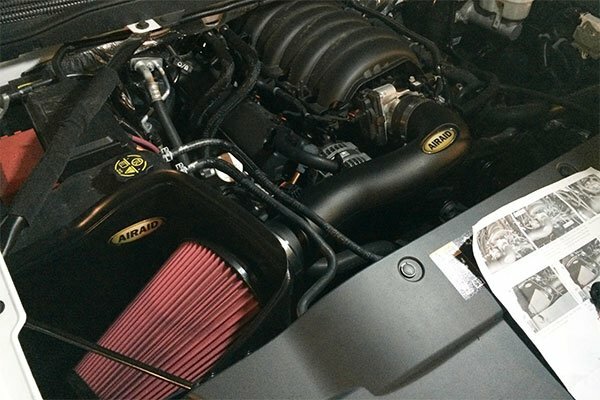 Airaid cai is very well built.I havent had it long enough to see gas savings.my titan seems to breath much easier.I would recomand this to anyone who is looking to improve performance!!! Made my trucks sound much deeper. Also improved throttle response, nice product. 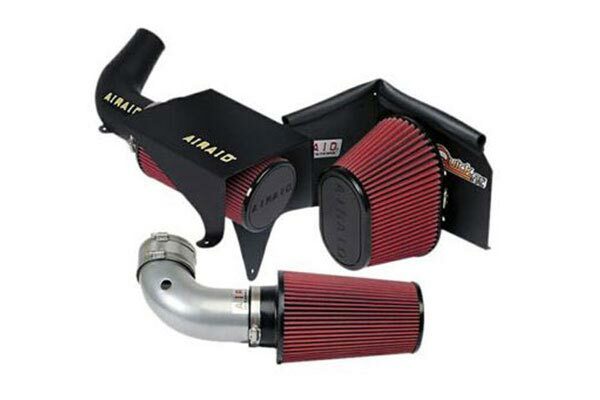 This product was very easy to install(I am nothing close to a mechanic), looks great under the hood, has a cool sound, great value. Also installed an exhaust system so still calculating the MPG gains. Reference # 756-251-244 © 2000-2019 AutoAnything, Inc.